This blog writing, design loving, busiest-summer-ever yet oh-how-I’ve-missed-blogging momma is back to the drawing board and so excited to be seeing you all again! The much-needed break was a little longer than I had anticipated, but I am so happy to be back and hope you are glad to see me too. After almost nine months of writing weekly posts, I was suffering from blogging burnout and needed some time to recharge, rework a few things, and get back on track with what I set out to do…so here I am! As you may have noticed, I am offering a free gift to anyone who would like to subscribe to receive these blog posts directly into your inbox and never miss a post. 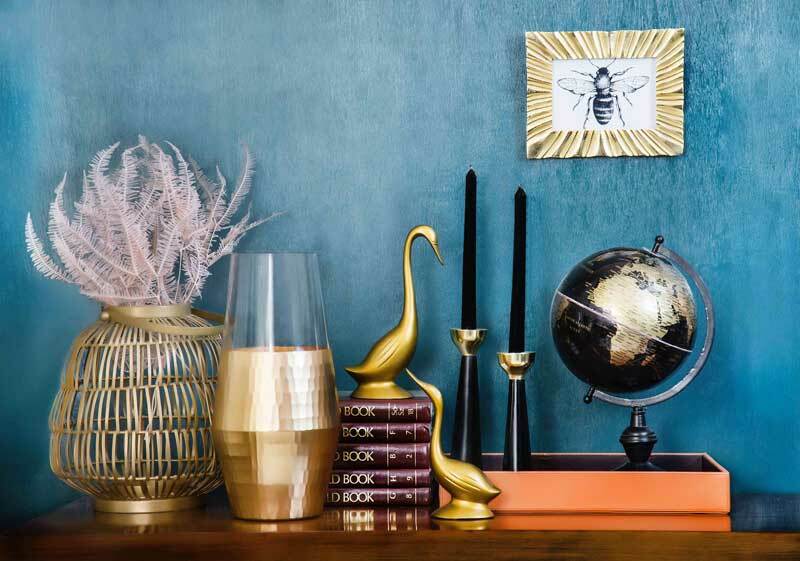 As I know that many of you love design but don’t always have the budget that you’d like to work with, I put together some fabulous tips (if I do say so myself!) 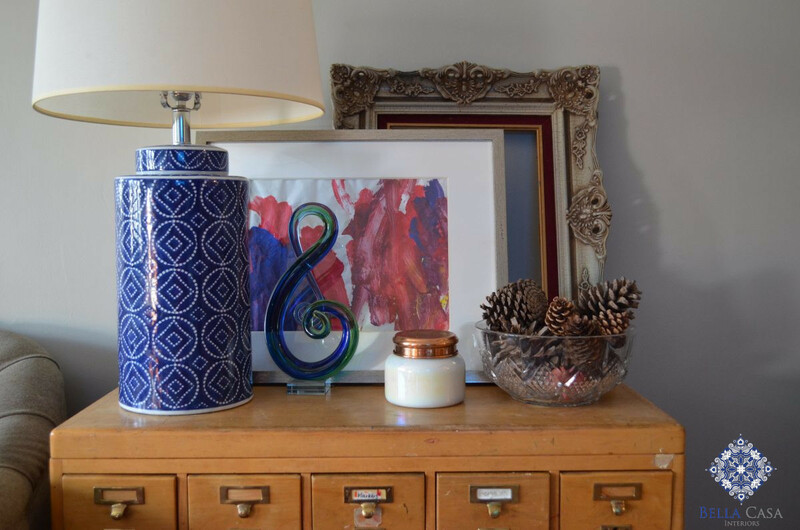 on how you can stretch your decorating dollars. These all have come from personal experience, so I know that if they worked for me, they can work for you as well. If you enjoy reading, please consider taking a quick moment to sign up…honestly, it just takes a couple of minutes! With every single sign up, it gives me more of a reason to write, as it lets me know that what I am writing about is relatable, practical and inspiring. Can I be really honest for a minute here? Part of the blogging burn out was the stress of constantly working just to get people to see the posts, to read the posts, and not have said posts slip into news feed never-never land because there were no “likes, shares or comments”. I felt like a broken record asking for them all the time, but the truth is, it was quite defeating when only 6 people would read a post you spent hours putting together. 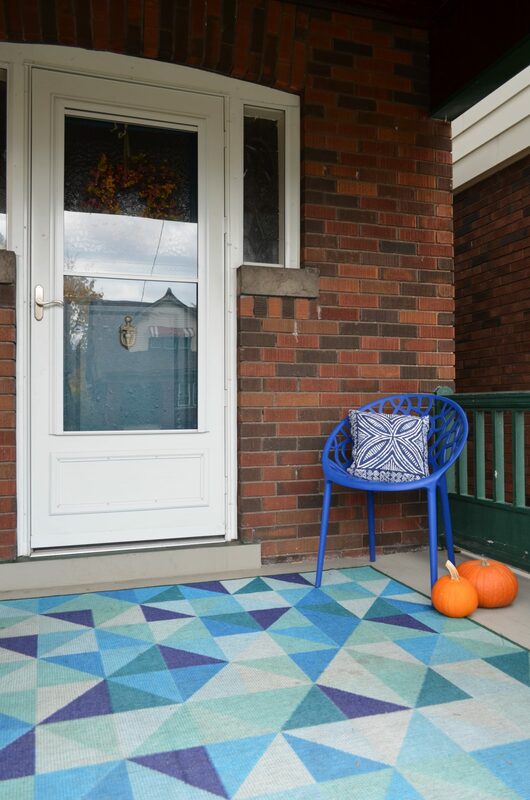 So, I have been up to a few things over the summer months around here and I thought I’d give you a peak at what we have done around our house. First of all, after waiting a really long time, I FINALLY have had my living room painted! And the Master Bedroom, the hallway, and the very patched up ceiling in our basement! It feels SO good…! In the end, I decided that Revere Pewter was the best color to go with (rather than the deep blue I was considering in this post). Honestly, it did turn out a lot darker than I had envisioned—and that is after having seen it & used it in client’s homes, numerous magazines, etc.—but it does make the room a lot cozier and works so much better with the fabrics in the room. C’est la vie! 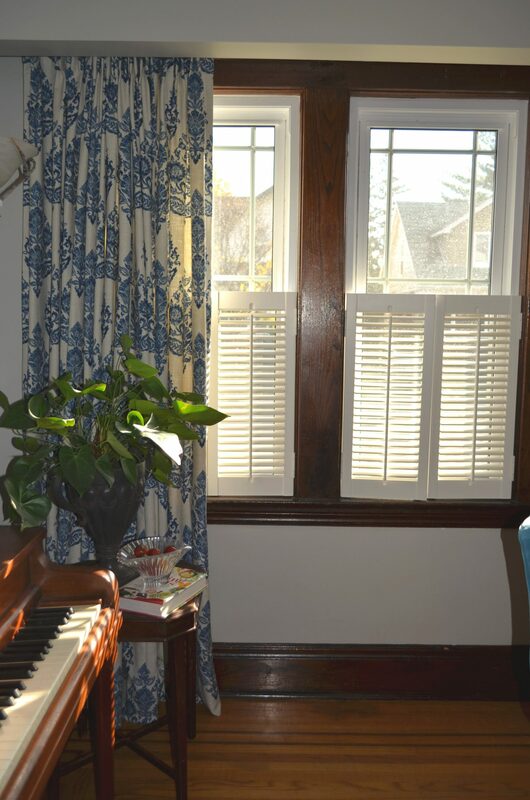 We also had vintage-style wood shutters installed in the living room and dining room. We’d had horrible plastic mini blinds that came with our house purchase that I absolutely hated! Privacy was a BIG issue and my husband I and I had many a discussion on what would be best. I really didn’t want to cover the whole window and even though these wood shutters weren’t cheap, they look far better than what I had envisioned! Truth be told …I did spend months and months combing online classifieds for used options but couldn’t find the right measurements. In the end, I am quite glad we made the investment–take a look! 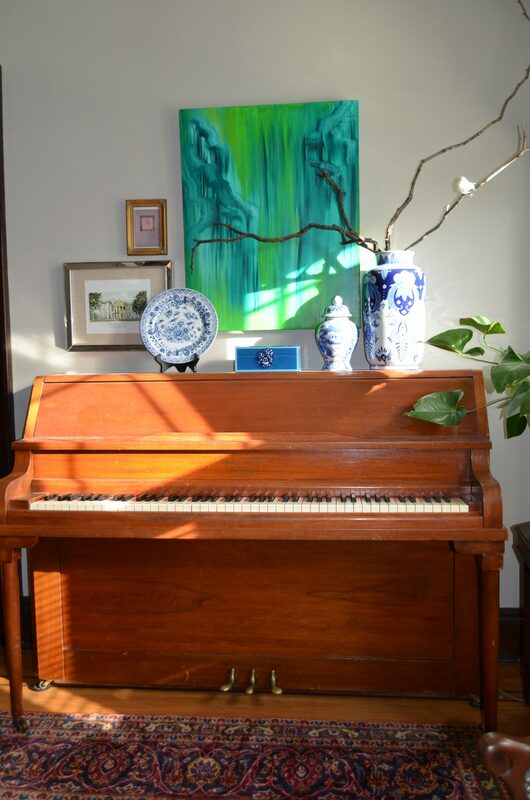 We also acquired an amazing piece of art from my dear friend Christine of CMbear Art that we hung over the piano. The colors are unexpected -I have nothing else in these green shades–yet they work wonderfully with everything. 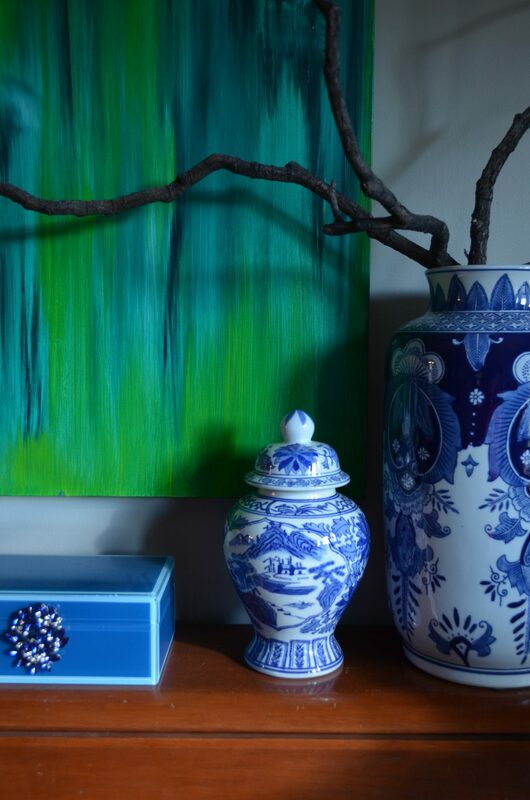 (I wanted a pop of color rather than something typical or neutral.) I plan to add in something else in the emerald color but I haven’t found the “right” thing yet. I also hung a few pictures to get the gallery wall started too. That gorgeous vase is from Pier 1, and the tree branches add that organic feel that makes me love to look at my piano (many times I day…)! 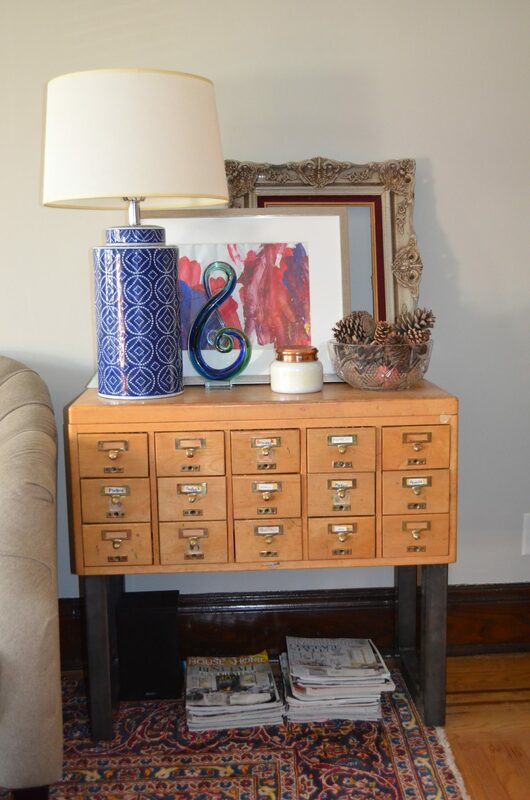 Another small thing we did is add legs to a vintage card catalogue cabinet we had and turned it into a side table. 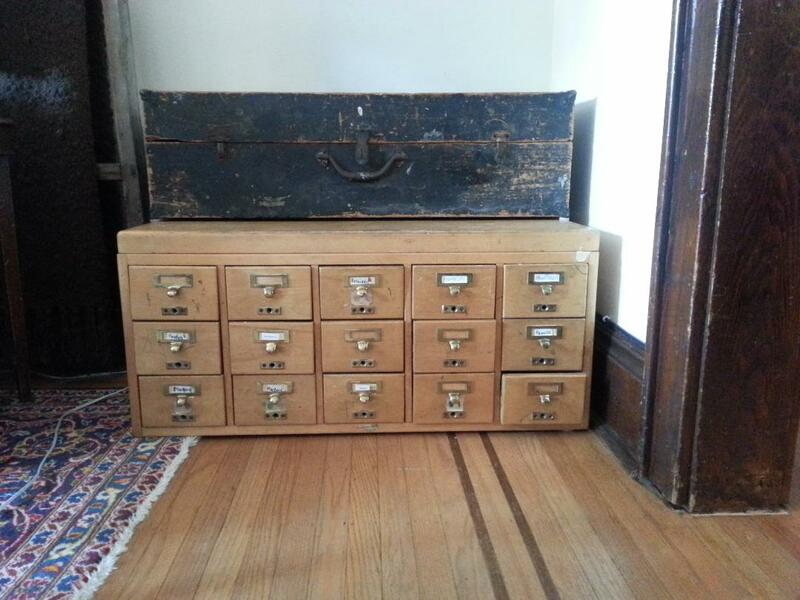 This actually was a freebie from where my husband works–they were going to throw it out! (Gah!) 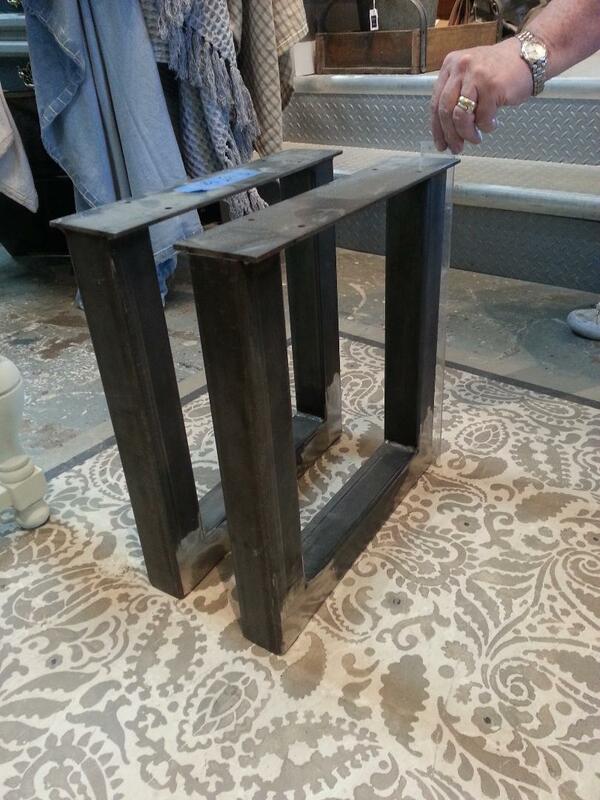 I knew I wanted to get legs for it someday and l spotted these metal legs at Graham and Brooks a few months ago and went back to get them as I knew they would be perfect! Here is the cabinet before, and after. It also gives me another surface to decorate…gotta love that! We did start our backyard garden, but you will have to wait till next year to see that! And the newly-painted Master Bedroom still needs a lot of work before it’s done, but I will show you all of that –eventually! I wasn’t kidding when I said that I had the busiest summer yet…both with design work, our own projects, and having three busy people around! 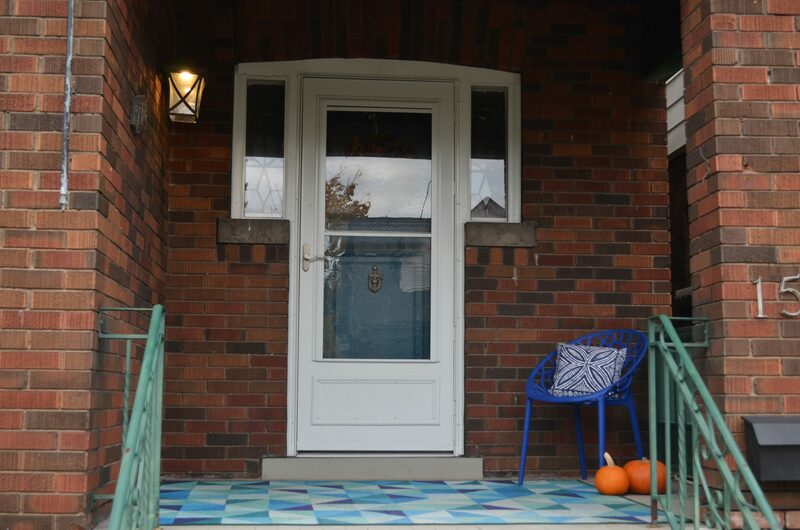 I have lots of new projects to show you, lots of great ideas to share, and I hope you will read along and enjoy seeing the progress of the Bond Street House, a living room and dining room Style Makeover, a budget-friendly main floor furniture tweak and lots of other great stuff I have planned. …and please remember to sign up! Welcome Back!!!!! I truly missed reading your blog. Thank you SO MUCH for your kind words Josie! I knew I couldn’t give it up so I am glad you enjoy it so much. Thank you for letting me know…it is so encouraging!